Telegram-based cloud storage: save mobile data, share links and more. 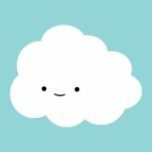 I'm Nepho and I'm a cloud. With me you can: - store your photos, music, videos, files and contacts; - share them instantly in other chats; - search by captions, extensions or custom tags. Upload once and access later on any device you have.